Shake your hips and get into the groove. 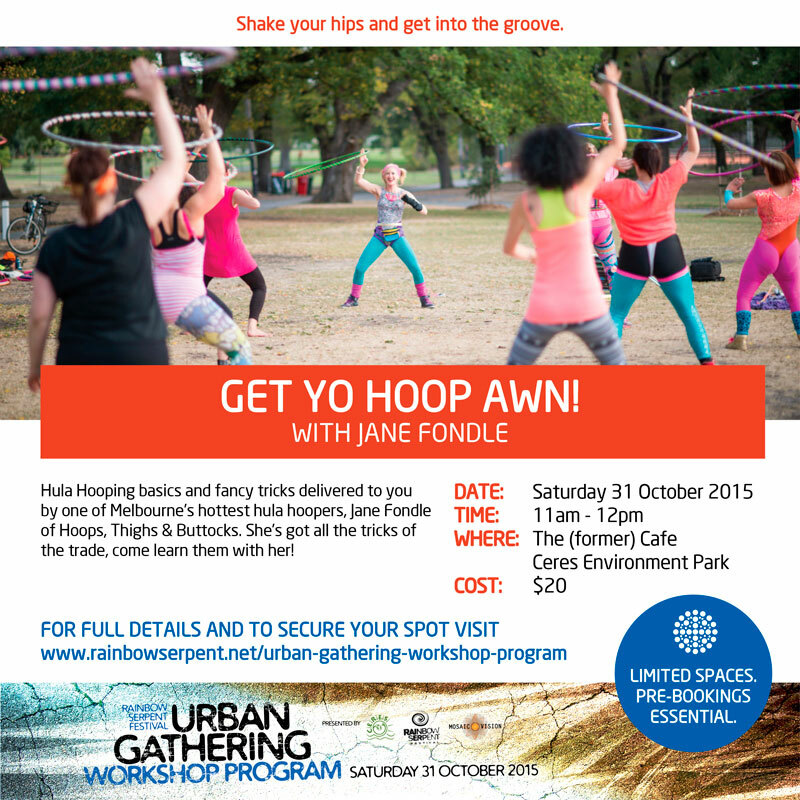 Hula Hooping basics and fancy tricks delivered to you by one of Melbourne’s hottest hula hoopers, Jane Fondle of Hoops, Thighs & Buttocks. She’s got all the tricks of the trade, come learn them with her!